If you are married, thinking about it, or just committed, you should read this. Dear Davester, Does your suit fit properly? Want to know what to do with all those orchard picking spoils? Apple crumble. And do you guys watch Scandal? We were late to the party, we started watching it over the summer, but we are HOOKED. 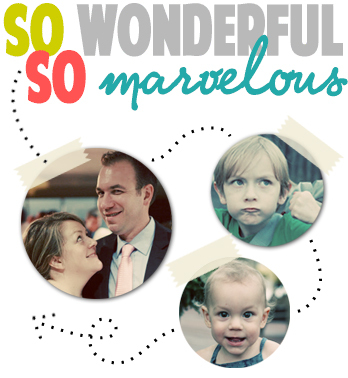 Thank you for subscribing to So Wonderful, So Marvelous! I love that Daily Affirmation video. I must've seen that a year or so ago and it just cracked me up and warmed my heart at the same time. My husband or I will sometimes still burst out with, "...My whole house is great! I can do anything good!" I just started watching Scandal, but I do like it! Robin, I know! It's hilarious. A friend of mine posted it and I had forgotten all about it.